Here you’ll visit the highest windmill in the Netherlands, the famous Dappermarkt, the Tropenmuseum, an authentic ring dyke and a transformed gas plant! East Amsterdam is both surprisingly quiet and fun. You’ll find peace in the city at one of the area’s beautiful town squares and at the Vergulde Eenhoorn farm that dates to 1702. Once you hit the 17th century park, Frankendael you’ll feel as if you’ve left Amsterdam completely. The last stop is Watersgraafsmeer, a beloved living area of Amsterdam, where you can end your trip at one of the cosy terraces next to the converted buildings of the Oostergasfabriek. The walking tour takes up to 2 hours, the bike tour 1.5. hours. 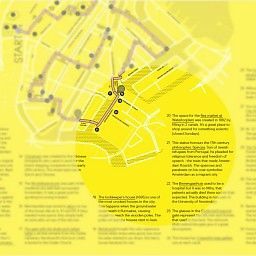 The walking tour starts at Zeeburgerstraat, the bike tour at Javaplein. Both end at Oostpoort. 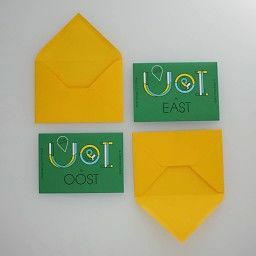 The card is available in Dutch and English. 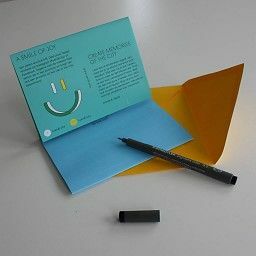 On the card there is space to write and an envelope is attached. You can send the card as a gift or inspire others with the highlights of your tour. 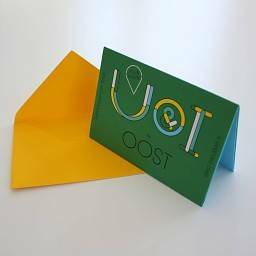 If you order stamp service we'll make sure there is already a stamp on the envelope for sending the card to a Dutch address or abroad. 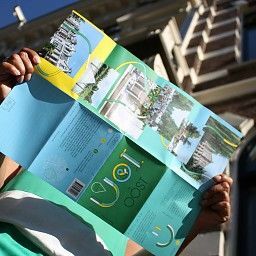 Especially nice for Amsterdammers who want to view their city in a new way! 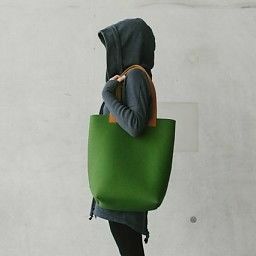 This tote bag is perfect, beautiful woolen felt, beautiful colour, beautiful design and practical too. 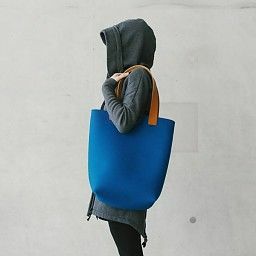 The sturdy leather straps are long enough to carry the bag over your shoulder, it can be zipped up and over time the colour won't fade and the felt won't stretch. 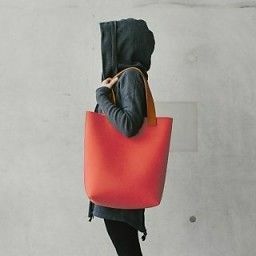 Perfect for one of the city beaches with your flipflops and towel nicely tugged away or for everyday life as shopper. 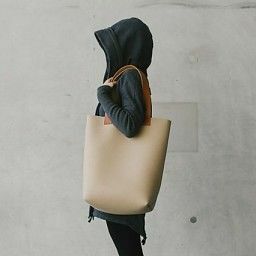 And if you need to work, your laptop and A4 files easily fit into this tote bag. 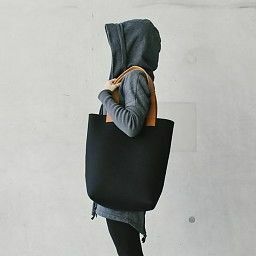 This XL bag can have it all. 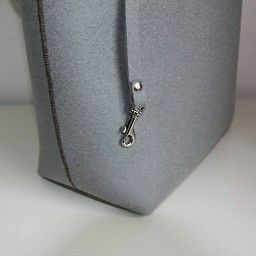 The bag is handmade and has beautiful details: the zipper is finished with leather that matches the straps, the inner lining has subtle dots and matches the strap colour. 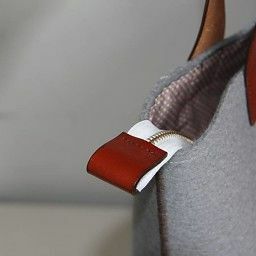 With a felt keyholder and an inside pocket with zipper there is no need to search for your keys, mobile or wallet. Who doesn't want this? 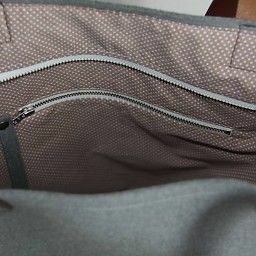 And the beautiful zigzag stitch on the sides gives it its finishing touch. 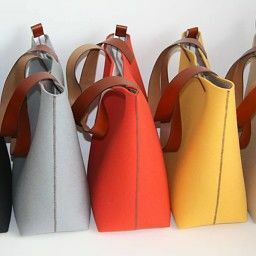 Choice your colour and enjoy the bag!